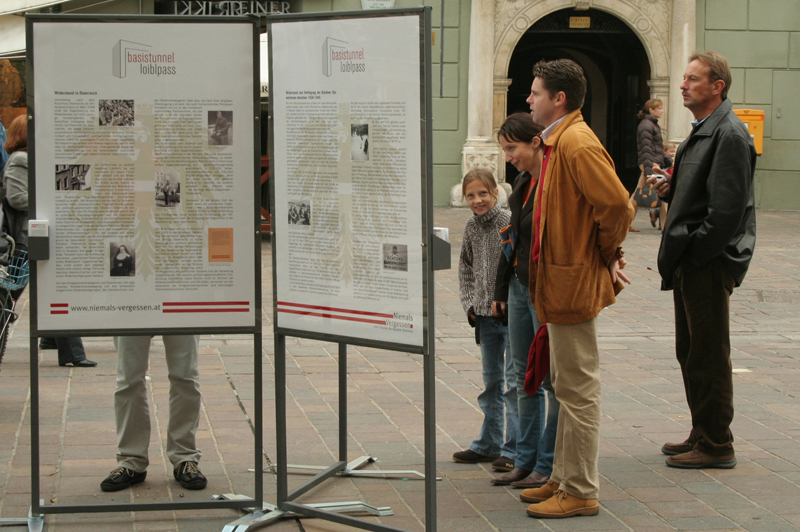 This intervention was carried out in October 2005, during the Austrian government’s socalled “Gedenkjahr” (commemoration year). Since 2000 Austria had been governed by a coalition of the conservative party (ÖVP) and the right-extremist populist party (FPÖ). During that year a number of anniversaries were celebrated and the government launched a number of dubious art projects in public space. 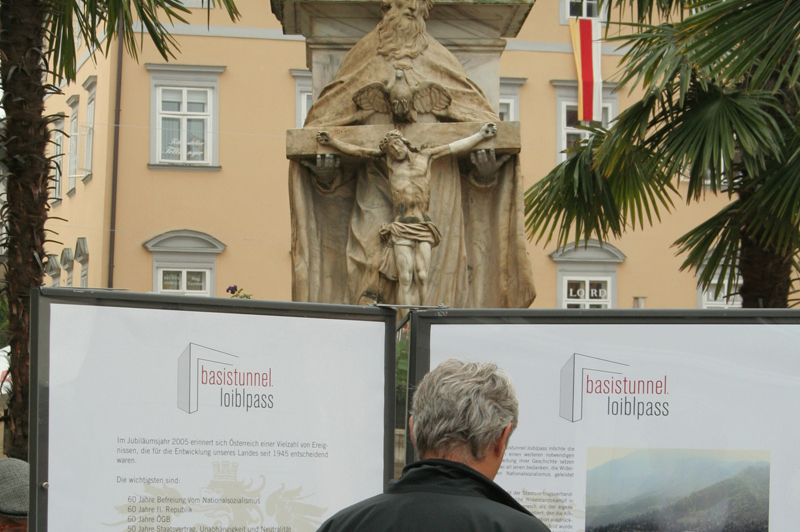 Austrian artists and cultural workers initiated a series of counter-projects; Basistunnel Loiblpass was one of them. Basistunnel Loiblpass was the continuation of Airport Praterstern, another intervention in public space, we had carried out earlier in 2005. The Loiblpass is an alpine mountain pass in Carinthia, the most southern Austrian province, at the Austrian-Slovenian border. 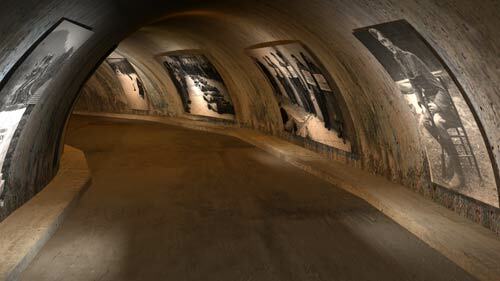 In 1943 the Nazis erected two concentration camps, one on each side of (today’s) border. 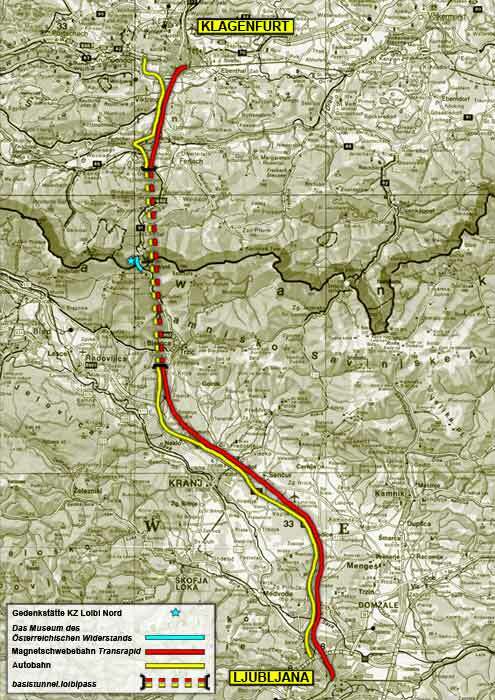 The camp inmates were forced to build the Loibltunnel, a 1.570 m long tunnel at 1.068 m altitude. While the ruins of the camp were conserved on the Slovenian side and a memorial commemorates the Nazi atrocities, hardly any reference can be found on the Austrian side of the border where traces of the camp were erased. The region around the Loibl and generally the southern part of Carinthia is inhabited by members of the Slovenian minority persecuted by the Nazis, many of whom became partisans. 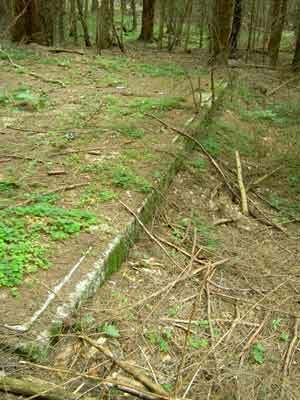 After the defeat of Nazism the Carinthian Slovenians were oppressed as well and deprived of their minority rights. Their outstanding anti-Fascist resistance and their contribution to the liberation of Austria has been largely disregarded by the state officials. 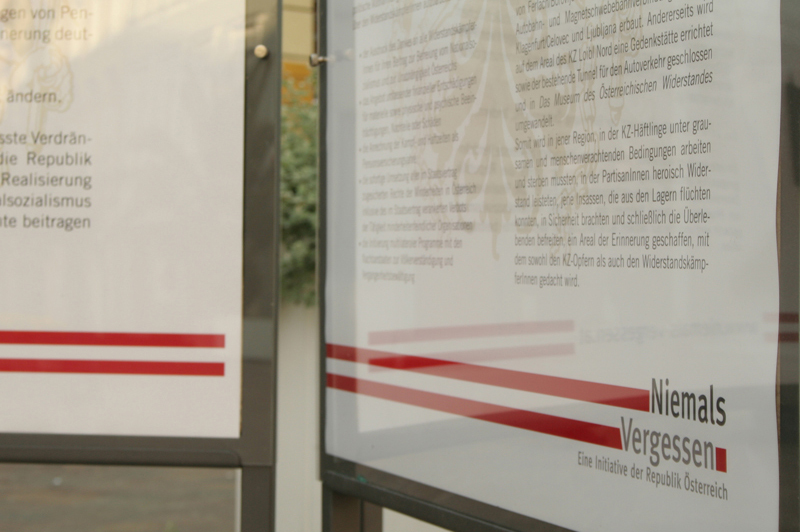 Again, without the authorities’ permission, we put up a presumably official information booth by using the insignias of the Republic of Austria, this time in Klagenfurt, the capital of the province of Carinthia. 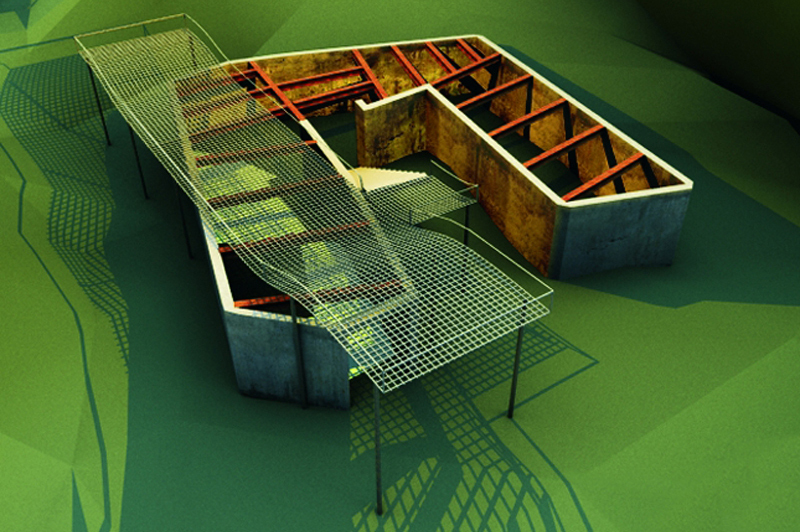 In the name of the Republic we announced the launch of the initiative Niemals Vergessen (Never Forget), which combined a utopian construction project and a shift of paradigm in terms of how the Republic deals with the Carinthian Slovenian partisans. 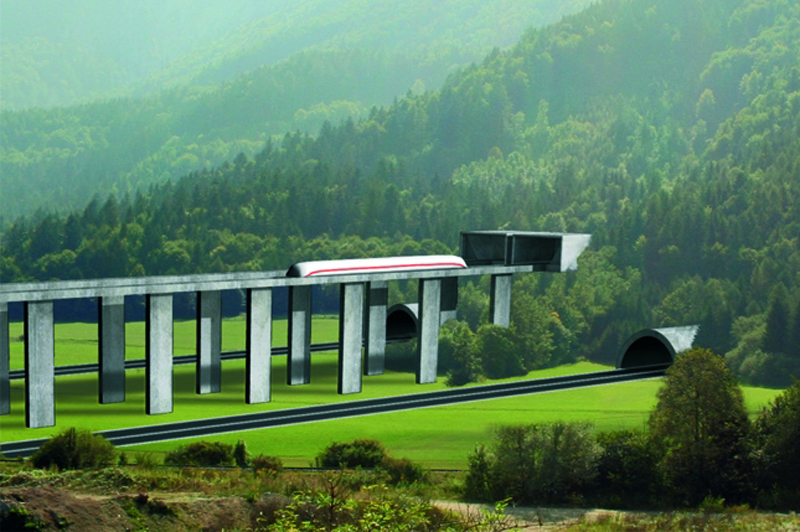 The construction project consisted of two parts: First, the Loibl tunnel would be closed for traffic and converted to the “Austrian Resistance Museum.” Second, a new tunnel would be built through the Alps connecting Klagenfurt and the Slovenian capital Ljubljana with a magnetic levitation train. 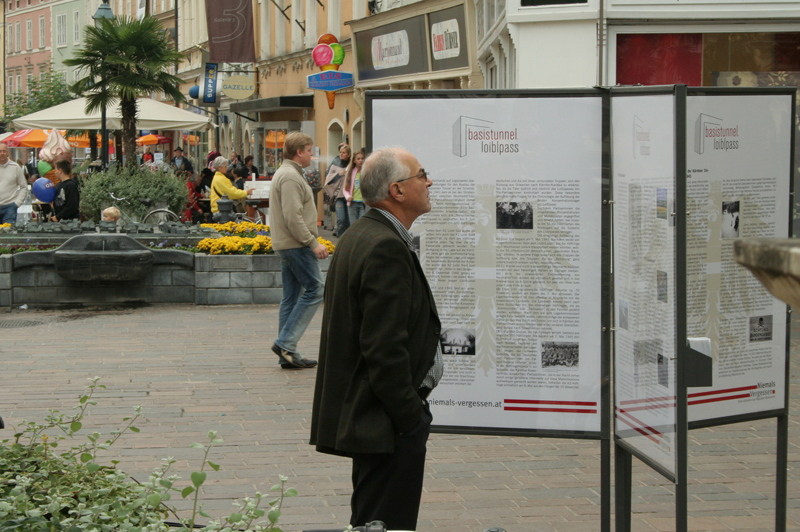 Besides the information booth we presented the project through radio shows, newspaper articles, a website and an online discussion forum.